The new Moto X's camera user interface is as clean as it gets. The green reticle can be re-positioned and allows for some control over focus and exposure. 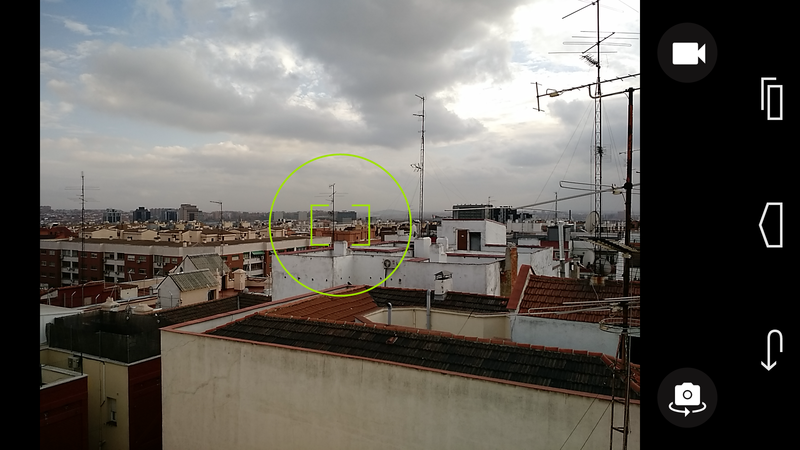 Camera operation on the new Moto X is very similar to the predecessor and other Motorola devices. The app can be opened via a left-swipe on the lock-screen camera shortcut or, like on the original Moto X, by snap-twisting the phone around the long axis twice, a feature Motorola calls Quick Capture. This works well once you get used to it but does not quite offer the convenience of opening the camera via a dedicated shutter button. At writing of this review our test unit is running Android 4.4.4 but we are expecting the Android 5.0 Lollipop update at any moment. The Motorola Camera app has already been updated to match Lollipop's Material Design, but new color scheme and fonts aside the app is essentially the same as before and comes with the same minimalist user interface we have seen on previous Motorola models. You can tap anywhere to take a picture, or tap and hold to capture a burst. By default you have no control over focus or exposure but you can turn on a reticle that can be moved around the screen to set the focus and exposure point. This gives you more control over your image and allows you to expose for highlights or shadows. A ring of options can be pulled out from the left edge of the screen. Here you find flash settings, image resolution and other options. As before, swiping from the left edge of the screen pulls out a rotating ring of options. Here you can activate HDR mode, adjust flash settings, select the video resolution and enter panorama mode among other options. Overall the new Moto X's approach to camera user interface is similar to Apple's iPhone models in so far that both camera apps offer little control over shooting parameters in return for a simple and intuitive interface. 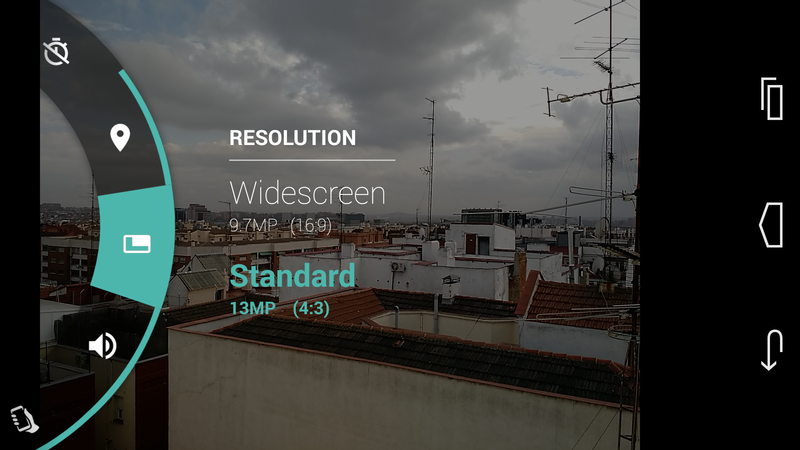 This stands in contrast to the camera apps on many other Android models that tend to offer control over ISO, white balance and other shooting parameters but often come with cluttered user interfaces that lack structure. 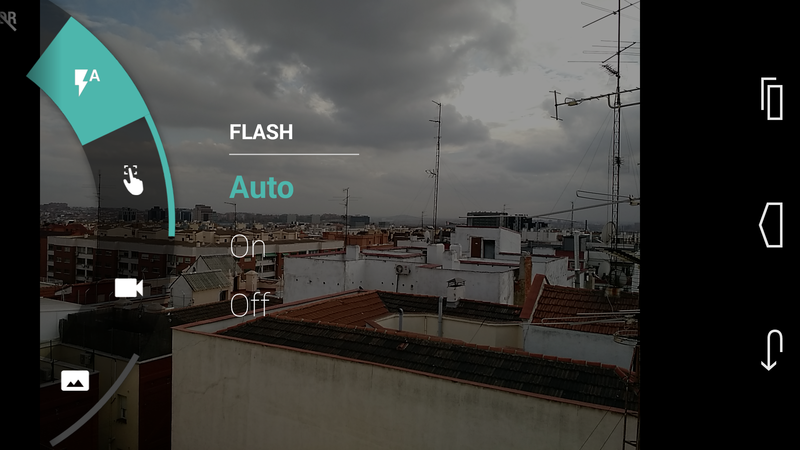 As it stands the Moto X camera app is best suited for point-and-shoot operation, but for those who prefer more control several third-party alternatives are available in the Google Play Store.